As I’m sure you’re aware, motorbikes are THE mode of transport in Vietnam, and Hanoi is the epitome of this love affair with two wheels. For many visitors, a drive from Hanoi to Ho Chi Minh City or vice versa is the best way to see the country, but others are satisfied with just the experience of a drive around the city and its surrounds, or even a round-trip to Sapa. This Travelfish feature about biking in Vietnam is worth a read. If you fall into the latter category, then a rental will be less hassle than buying and then re-selling, and there are no shortage of rental bikes to be had in town. Hondas are the most common brand and also the easiest to get fixed if you’re unfortunate enough to break down, and you’ll find anything from a battered old model to a shiny new one. Shop around. The area around Ta Hien / Dinh Liet / Hang Bac is littered with signs advertising “Motobike Rent” or some such variation. A friend rented long-term from the no-name place at 29 Ta Hien (0913 517 621), and was very pleased with her bike, and others that get well-rated are Mr Cao at 106 Hang Bac and Quan’s Motorbikes at 70 Hang Bac. Other friends rented through their hotel and again, all fine and dandy. Expect to pay somewhere between $5 and $7 a day and to leave a deposit and / or your passport. Personally, when choosing where to rent our bike from we went for one of the Western-owned options in town. We just felt a bit more confident about it — based on countless great reviews and the ability to communicate easily in English. We rented our bike for 8 months from Rentabike, run by Danny and Thu. I have nothing but praise for them and would highly recommend them. 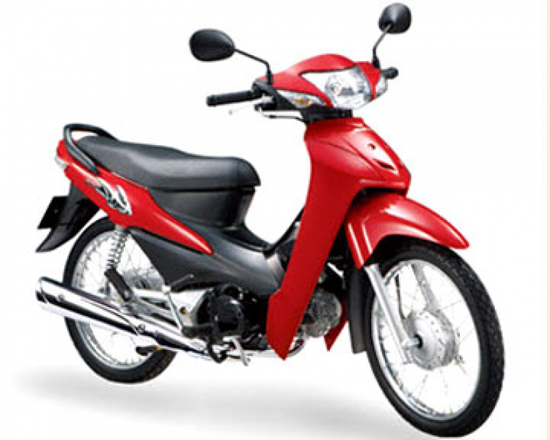 They have a range of semi-automatic, automatic and manual bikes, with daily rental available on the Honda Wave, Honda Nuovo and the Yamaha Mio for $7 a day. Their website also contains some useful tips about riding a bike in Hanoi — such as parking, problems with the police and riding tips — which is worth a read even if you rent from elsewhere.